National Young Writers Month is the perfect time to announce Scissors Paper Pen’s first Writer in Residence this year, who will be mentored by Giramondo Managing Editor, Alice Grundy. 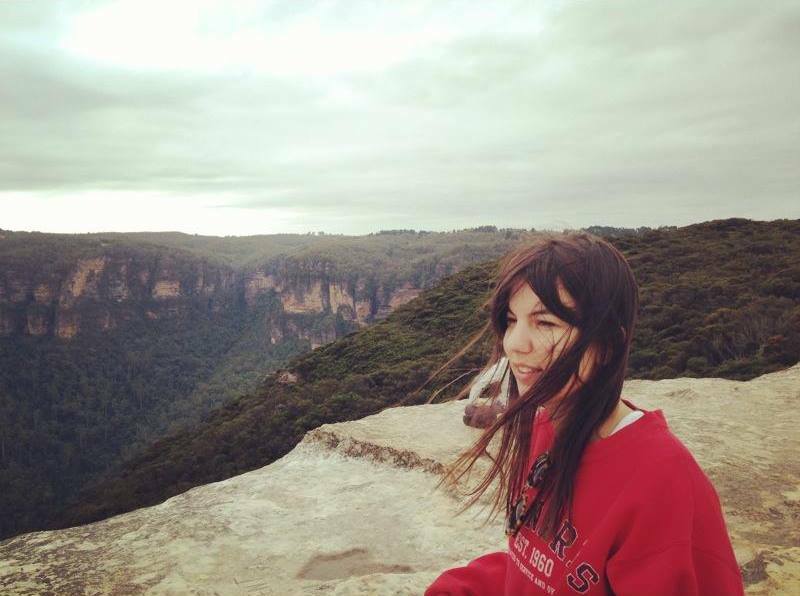 We are thrilled to introduce you to Jacinta Mulders, whose writing for SPP will be based around exploring visual representations of history and memory. It’s going to be a mixture of review, non fiction and fiction. Sound fascinating? Allow us to set your interest alight: Jacinta works in international human rights law research at Australian National University. Her writing has appeared in Meanjin, Seizure, Oyster, Pollen and TheVine, where she worked as an editor. She plans to commence postgraduate studies in creative writing in late 2015. Jacinta moved to Canberra recently, so we sat down with her and asked her a few questions about her writing, her favourite reads, and what she’s doing on the SPP blog. What was the first thing you ever remember writing? It was a poem about car lights at night. I was probably about twelve, and wrote it while bored in the back seat of my parents’ car during a long trip. From memory, there were some pretty dubious snake metaphors in there. Can you explain to us what your residency series will be about? The theme I’ve chosen is ‘Visual History’. Basically it will be looking into how—through memories, through feelings, via photos of ourselves—we warp our sense of the past. Is that a little obscure? Of course! But I think the most wonderful things in life are the mysterious, obscure ones—when concrete meaning hovers just out of reach. It’s like a complex song: blissful, unfathomable. That’s the vibe I want to create. How do you think writers should decide what they’re going to write about? They should do it via feeling. For me, I don’t think there really is any other way. Unless you are seeking to cultivate skills in a particular area, like you want to work on your dialogue, or reportage, or become really good at character or something. Jacinta’s writing will be appearing during National Young Writers Month, and beyond, until August 2015.